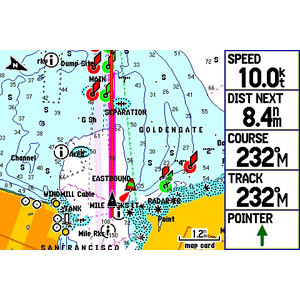 The GPSMAP 276C is a versatile color chartplotter and automobile navigator, perfect for land or water. Along with its counterpart, the GPSMAP 376C, this portable navigator features a sunlight-readable 256-color TFT display and a built-in autorouting basemap that can route you on major interstates and highways. 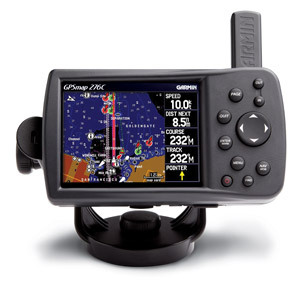 On water, the GPSMAP 276C is a dependable color chartplotter with built-in basemap enhanced by Garmin's marine cartography. For extra-precise navigation, the 276C has a Course Deviation Indicator (CDI) — a feature normally found on aircraft, but equally practical for the marine environment. 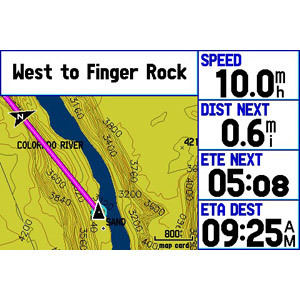 The CDI quickly indicates whether your boat has veered off-course and helps you get back on track quickly. The 276C also supports external NMEA sources for water depth, water temperature, and water speed through two serial interfaces. On land, the GPSMAP 276C’s autoroute basemap can route you on interstates and major highways. For even more detail, get the optional automotive kit (sold separately), which includes City Navigator® detailed maps, a data card and an automotive mount. With this kit, just load the detailed street maps on your 276C and pop it into the automotive mount for voice-prompted turn-by-turn directions to over six million addresses and points of interest, including restaurants, hotels, gas stations, marinas and other attractions. 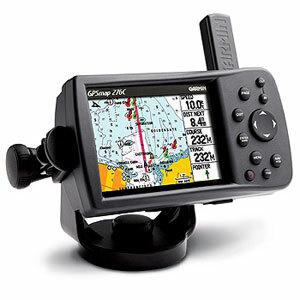 The 276C is compatible with BlueChart® g2 maps, which add extra detail when you're out on the seas. 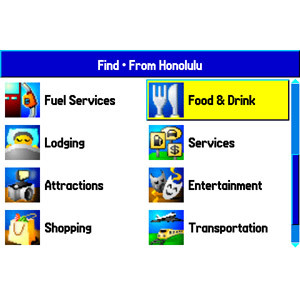 It also accepts optional MapSource® data cards, so you can add other types of map data easily. For convenience and easy map transfer, you can connect the 276C to your computer with the included USB cable.